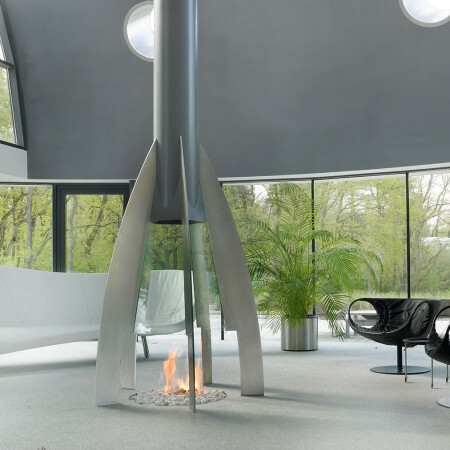 Two very unusual bespoke fireplaces that form the center piece of this luxurious interior. These two tall, and elegant, designer fireplaces incorporate clear glass to high level which provides this design a very sleak and contemporary look. 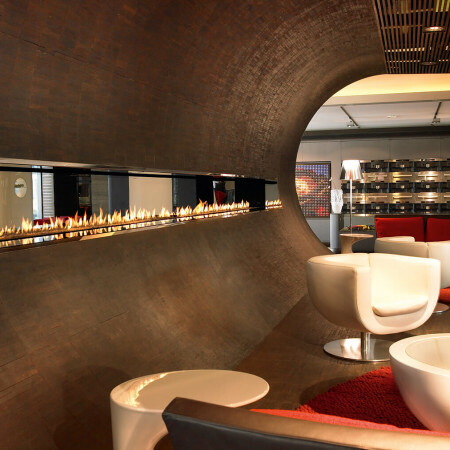 These bespoke fireplaces have been built in using leather to form the outer cladding which brings a very unique look and texture to these most unusual fireplaces. 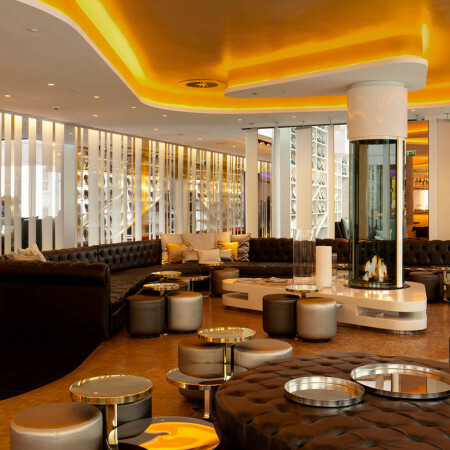 For more information on our bespoke fireplaces, please contact a Design Consultant.